You want to head out into the wilderness with more than just a backpack and a rolled-up sleeping bag. Maybe you want to experience nature, or wait out the apocalypse. Either way, you want all of the comforts of home… or at least most of them. Basically, you need a camper van. Camper vans sit somewhere between tenting and traditional RVs, offering the advantages of a vehicle without excessive bulk. Specialist companies have built some impressive rigs for money-no-object customers, but it’s also possible to build your own camper van on a more reasonable budget. Here’s how to build a camper van. First, you’ll need a vehicle to convert. Full-size vans like a Mercedes-Benz Sprinter, Ford Transit or Econoline, or Chevrolet Express are relatively plentiful and offer the interior space you’ll need for living quarters. If you’re buying used, make sure the vehicle is in good condition. Fixing mechanical issues will just add to your to-do list. Once you have a vehicle, you’ll be able to start planning the conversion in detail. The van’s dimensions will determine the interior layout, but you also need to consider exactly what you want out of your camper van. Make a list of what features you want. If you plan on bringing someone along on your adventures, get their input too. Google “DIY camper van” to get ideas. You can mock up interior components like beds and cabinets using cardboard templates to see how everything fits. Even when you’re trying to install things for real, remember that projects like this can involve some trial and error. If something doesn’t work, move on. 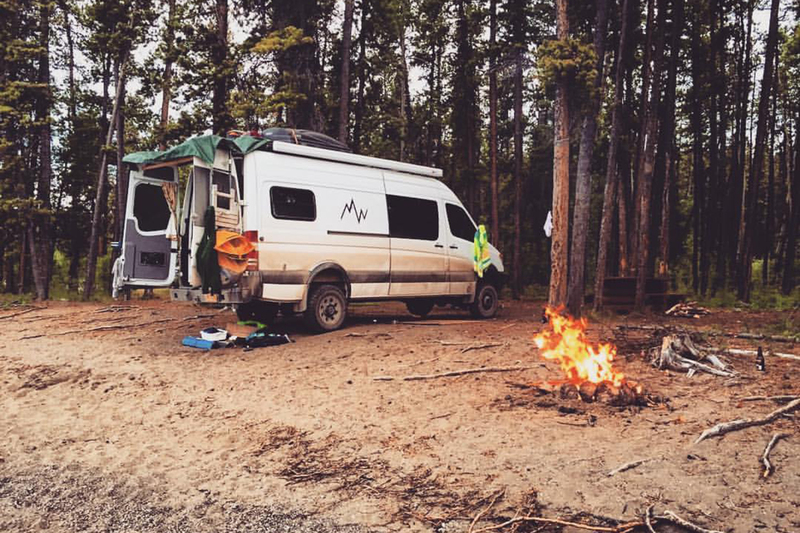 A camper van will eat up a good chunk of your bank account, but there’s no need for it to be a bottomless money pit. Remember the “camper” part and keep things simple. A Coleman stove will cook food just as well for van-based camping as it would if you were sleeping in a tent. You can also try getting creative and repurposing cheap household items. For electricity, consider solar panels. You won’t have to spend money keeping a generator topped up with fuel or deal with the noise they make, and solar power is more environmentally friendly. Companies like AM Solar make solar-panel kits for vans and RVs, and they are relatively straightforward to install. As with most DIY projects, the Internet is your friend. If you’re unsure of where to start or how to tackle a specific aspect of your project, look up a YouTube tutorial or try to engage with the online camper van community. Websites like BuildACamperVan.com and DoItYourSelfRV.com are just a couple of examples. Once you have a completed camper van, there’s nothing stopping you from exploring. Don’t build an entire van just so it can sit in your driveway.